A list of healthy snacks for breastfeeding moms that help to keep mom’s nutrition and energy at an all-time high no matter what time of day she’s nursing! Make no mistake about it, I have a love-hate relationship with breastfeeding [you can read my beef here]. I’m amazed at how one of the most natural things in life when it comes to childbearing can feel so unnatural at times. While I’m a firm believer that whatever route you choose for getting nutrition into your newborn baby, I’ve always tried breastfeeding first. Then eventually moved on to formula [at 6 months with Joey and 9 months with Anthony]. While most people think of baby first when breastfeeding is mentioned, I say we can’t forget about Mom!! Because if Mom isn’t eating right, then chances are baby isn’t either. One thing I didn’t anticipate when it came to breastfeeding my babies was the surge in appetite I would have once it all began. For real! I’m hungrier now than I was when pregnant. And for good reason— my body is using extra nutrients to make milk for baby! While it might be tempting to indulge on greasy, cheese pizza [not judging, that’s what I wanted when Lily was born], I’ve put together a few of my favorite healthy snacks for breastfeeding that not only keep Mom fueled for those long days and nights of feeding, but they also keep baby happy and satisfied too! 1. Hard boiled eggs + a glass of chocolate milk. While it seems like an odd combo, I know I’m getting healthy fats and plenty of protein from both food choices! Not much to say here.. other than I feel like Gaston from Beauty and the Beast whenever I eat an egg solo! 2. Mini muffins + a glass of milk. I had made a few batches of cinnamon applesauce muffins and peanut butter crunch muffins before baby Lily was born and froze them. They are easily reheated in the microwave! Peanut Butter Crunch Muffins—> recipe on THIS blog! Search for it now! 3. Cottage cheese + fresh fruit and veggie toppings. I could eat cottage cheese all day long. And the good news is so could the boys. Their favorite topping? Sprinkles!! But Mom opts for fruit and veggies for a little crunch and lots of nutrients. No time for chopping tomatoes? Try adding a few tablespoons of salsa to your cottage cheese. It’s delicious! 4. Hummus + fresh veggies or whole grain crackers. The go-to lunch for my dynamic duo, hummus is Mom’s favorite plant-based protein. Not only do I feel more satisfied when I get enough protein throughout the day, I can easily dip my way throughout the day when I pass the fridge! One snack I can’t eat in front of the boys if I actually want to eat it… they’ll take it straight from my plate! 5. Greek yogurt + fresh fruit. Again, another protein-packed favorite for me and the boys. Sometimes I’ll even add a little granola for extra crunch! This one is almost too pretty to eat! 6. Peanut Butter + celery. Sort of like peas and carrots, right? The combo just goes together! And if I’m out of celery I’ll happily take some peanut butter on crackers! This snack brings me back to my college days… I swear I lived off of PB and celery my senior year! 7. Peanut butter + apples or bananas. If you’re noticing a theme here you’ll see I’m always trying to get a little protein into my snacks. Protein = fullness = satisfied = less snacking. See where I’m going with this? Ok.. and maybe a little bit of Nutella too! 8. Fruit flavored water [my favorite flavor combos here]. Don’t forget about Mom’s hydration too! I almost always have a water bottle filled with water + cucumber, lemon, or lime slices. I have also added a splash or two of lemonade or iced tea to my water just to add a little flavor without all the sugar. No, my fruit flavored water at 3am does NOT look this good! Cravings in the middle of the night? I have plenty of Larabars and KIND Bars on hand to handle those late night hunger surges. I also forgot another delicious snack— sliced cheese or cheese cubes with crackers. I’m just too tired to take a picture for you… but I know you can envision it! I also have a big stash of Goldfish when I want something salty [and almonds and cashews to mix-in for a fun trail mix]. While I know there are plenty of other snacks out there I could have mentioned, these are my favorites. And snacks that double as options for the rest of the family too. Yes, there’s prep involved in the washing and cutting of the produce items, but all you need is 30 minutes of someone else holding the baby to do just that! Keep in mind, when you have small children, you are likely eating 5-6 snacks a day vs. meals. Hence why I take such pride in my snacking!! I also like to keep a formula for the perfect, healthy snack: protein food source + ONE other food group [grains, dairy, fruit, vegetable]. Protein = satiety, or what gives you the feeling of fullness. It also ensures you are not making snacks as large as meals while still getting plenty of nutrition. PS. These snacks also work for formula-feeding Moms. 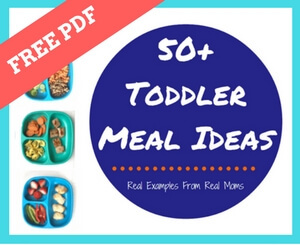 ALL MOMS need healthy snacks to get them through their days feeding babies! So tell me: What’s your favorite healthy snack to have on hand while caring for your little one?! « Welcome to the World Baby Lily!